An instant read thermometer is an indispensable tool for every cook – and every cookware junkie. ThermoWorks wins our top bid for the best and value buy. 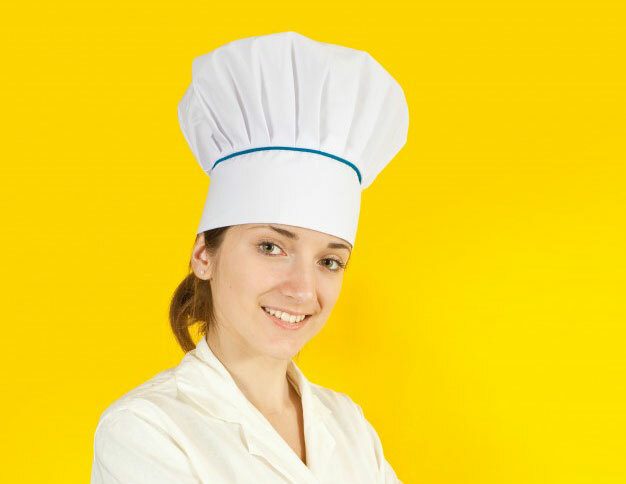 Used most commonly for checking the internal temperature of meat (whether on the grill, stovetop, or oven); instant read thermometers are also effective for baking deserts, making sauces, poaching, and deep frying. 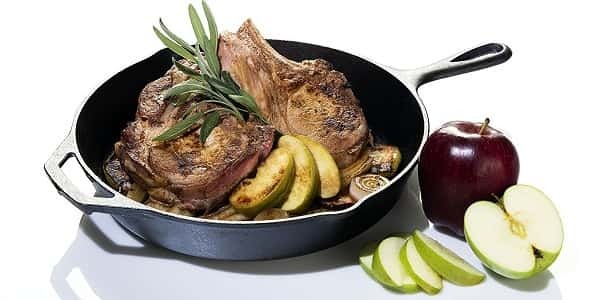 Just as you don’t want to leave gauging the doneness and safety of your meats to poking them with a fork or jabbing them with your thumb, getting these foods right requires precision and care. An instant read thermometer is the only way to ensure you’re spot on. If you’re going to spend money on an instant read thermometer, you might as well invest in a good one – and there’s a lot of them out there to choose from. They run the gamut from the ultra-cheap and not-very-good to the very-expensive-and-super-accurate. But no matter your budget, there’s an instant read thermometer out there for you. Here’s our take on the 5 Best Instant Read Thermometers For Cookware Junkies, including our affordable value pick! How Do Instant Read Thermometers Work? Instant Read Thermometers read temperatures using electric currents; the probes can detect the heat in a food or object as energy, or resistance, and then convert that heat signal into a the equivalent temperature for display on the instant-read screen. This process takes a few seconds, so it’s technically not “instant read,” but is generally very accurate and reliable – provided the probes are manufactured to a high level of quality and precision. 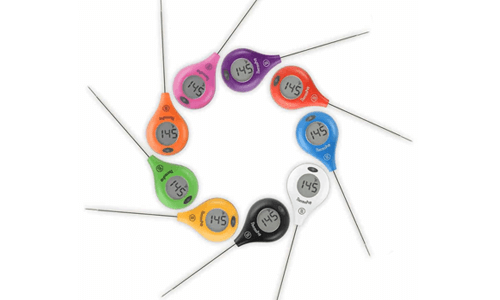 Most thermometers use one of two types of probe – thermistors or thermocouples. Thermistors are the simpler, cheaper option, but they do not respond as quickly as thermocouples. Thermistors take longer to obtain a final reading because of the process: they read based on how electrons react to the tiny voltage which runs through the probes semi-conductor. They are also limited in the temperature ranges they can read accurately; most will get to about 300°F before becoming wildly inaccurate. Thermocouple thermometers are more expensive than thermistors thermometers. The cost of thermocouples and thermistors are relatively the same; thermocouple based devices cost more is due to the technology required decipher the data from the component in order to display the digital reading you see. Thermocouples take less time to stabilize in order to produce a final reading in as few as 2 seconds, and are generally accurate to within .7-1°F of true temperature. The insanely quick speed of thermocouple thermometers is attributed to how thermocouples function. They are designed by combining two wires made of different alloys welded together into one probe; these different alloys are capable of reading the energy and voltage of the heat in your food and can then display this voltage as a temperature on the read-out screen. By combining many different alloys together, manufacturers can create a wide variety of different thermocouple probe types, some more accurate than others, some with greater sensitivity ranges, etc. The most common type of Thermocouple is the Type K Thermocouple, which is widely regarded as one of the most accurate. Thermocouples also have wider temperature ranges than thermistors; most go up to 572°F, while some can get well over 700°F. Thermocouples can respond to changes in temperature more quickly because thermal conductivity is faster in metal, which thermocouples use. Thermocouples also work over a wider range of temperature; in Bergeson’s lab, he has some that read up to 1,000 degrees. But when accuracy is paramount, he said he typically uses a thermistor, because while the range is usually smaller, the changes in temperature are easier to measure. In the kitchen we don’t need as high a level of sophistication. Even though they measure temperature differently, we found fast and accurate thermometers in both styles. The most important take away here is that both types of thermometers will work just fine for the average at home cook. The main difference is the speed at which you obtain your final reading. Instant Read Thermometers are simple and easy to use, but still come with a wide variety of features making them versatile and convenient for virtually anything. Here’s what you need to look when choosing an instant read thermometer. What Kind of Probe Does It Use? How Accurate Are They? Nicer instant read thermometers will likely come with thermistors, while spending a bit more will get you a Type K thermocouple probe. As previously mentioned, thermistors will likely be more accurate than thermocouples, however the are not capable of reading the wide range of temperatures that thermocouple thermometers can (between -58°F and 572°F). Is the LCD Screen Large Enough To Read Easily? Instant Read Thermometers usually (read: nearly always) display their temperature readouts on LCD screens. Look for a screen that is large enough to easily read the temperature at a glance, and if you can find one with a backlight, that will make things much easier. Not all instant read thermometers will be waterproof, but many of the nicer, more expensive models will have waterproofing, dustproofing and even impact-resistance; Many will be rated be to IP55 or IP67 standards of those features. While that may not seem super important at first, your kitchen can be messy, and ensuring your trusty thermometer can hold up to falls off the counter and hot water being spilled on it can go a long way. What Kind of Battery Does It Take, And How Long Is The Battery Life? Most instant read thermometers will run off standard AA or AAA batteries, which are easy to find and replace when the batteries die – which isn’t very often. Many thermometers claim battery lives of 2000, 3000 and even 4000 hours on just two AA batteries. Less extreme models will probably still get 200 or 300 hours. How Long Does It Take To Get An Accurate Reading? Finally, pay attention to quickly the thermometer works, and how long it takes to stabilize and report a stable temperature. The best thermocouples will generally work within 2, maybe 3, seconds, while less sophisticated models and thermistors might take 5-10 seconds. Generally, a thermometer will give a close reading quickly, and then take a few more seconds to stabilize. ThermoWorks is a trusted brand in thermometers, and the ThermaPen Mk4 is their most trusted product. It’s a professional-grade instant read thermometer capable of the demands of serious chefs, but versatile enough for use in your home kitchen, too. It has a large handle with a 4.3” folding probe, and a large LCD screen for reading out the temperature display. The screen auto-rotates 360 degrees.This ensures you can read it whichever hand or direction it’s being held at. It also has an intelligent backlight that turns itself on in low light and can be activated by tapping on the sensor. It’s Super Accurate. The thermocouple probe is rated to within .7°F +/- of the food’s actual temperature, ensuring you know exactly how hot or cold your food is everytime. 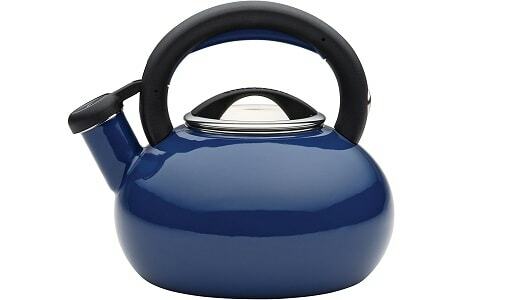 It’s also got a very wide temperature range, capable of reading temperatures from -58°F to 572°F. It’s Fast. Stabilized temperature readouts take 2 seconds. It’s Durable and Waterproof. The ThermaPen Mk4 is rated to IP67, which means its waterproof down to 1 meter, shock-resistant, and dustproof.Whatever your kitchen throws at it, it’ll be ready. It has a 3000-hour battery life. That’s for using a AAA battery without the backlight. Use the backlight often and the batteries won’t last as long. Still, at 3000 hours, you’ll rarely need to replace the batteries. It’s Customizable. There are tons of hidden little features accessible in thebattery compartment, including a display lock, display toggles, and even a sleep mode disable function. It also has an auto sleep mode, which senses when it is put down and goes to sleep, and then wakes it back up when lifted. It’s expensive. That’s…pretty much it. If you’re on a budget, there are definitely better options. But if you have the money to spare, it doesn’t get much better than the ThermaPen Mk4. Overall: In summary, the ThermaPen Mk4 is an excellent, high-end instant read thermometer for professional and home use. It’s very accurate, produces quick results, and uses top-quality thermocouple probes to achieve its results. It’s also very durable. Our pick for the Best Instant Read Thermometer. Note: Due to the popularity of the MK4 imitation manufacutres have saturated the market with their look-alike products. As a result, ThermoWorks does not allow their product to be sold at online retailers like Target, Home Depot, Amazon or Ebay. To avoid purchasing a knock-off purchase directly from the ThermoWorks website. The ThermoWorksThermoPop is the go-toinstant read for cookware junkies who want the ThermaPen but can’t quite afford it. At only $30, it’s a fraction of the price of the Mk4, but delivers the same ThermoWorks quality and reliability you’re looking for. The LCD Screen rotates and is easy to use. There’s just a single button to turn it on or off, and to rotate the screen in 90-degree increments; the screen rotates 360 degrees. It also has a backlight for reading in the dark. It’s (Relatively) Fast. Stable read times are somewhere between 4 and 8 seconds, and while this is not as fast as the ThermaPen, it’s still pretty good – especially for a thermistor probe. You’ll have a close reading within 4 seconds and a final reading a few seconds later. It’s Pretty Accurate. 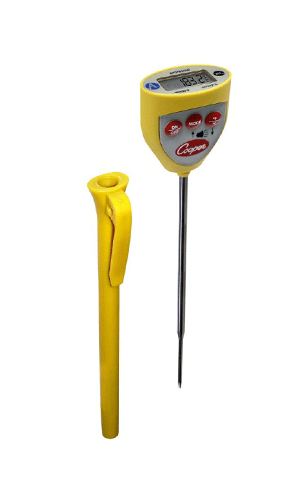 The ThermoPop is rated to accuracy within +/- 2°F of actual temperature. While that is not quite as close as the Mk4’s .7, it’s more than useable for most cooking tasks. 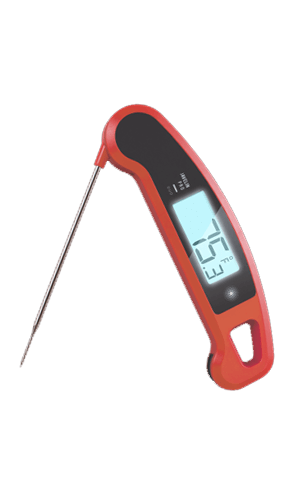 It also has decent range; it can accurately read temperatures up to 572°F, just like the ThermaPen. It’s durable. It’s not IP67-rated for waterproofness, like the ThermaPen, but is splash-resistant, dust-resistant, and capable of surviving most spills and falls off the counter. It honestly feels sturdy in your hand. Battery life is 5000 hours off a single lithium cell battery. That’s really good – and perhaps the best you’re going to find on any thermometer. It’s not waterproof. Yes, it’s splashproof and very durable overall, but we’d like to know it could survive being dropped into the sink or a bowl of water without being fried (figuratively). It’s not as accurate as the ThermaPen. While this is probably to be expected considering its lower price, we do wish it would get even closer to true temperature. The backlight is not automatic. Perhaps we’re spoiled after using the ThermaPen, but an intelligent, automatic backlight would make a huge difference in everyday use. Overall: If you’re on a budget, the ThermoPop really can’t be beat. It’s not as high-end as the ThermaPen Mk4 and doesn’t have all the same features, but is a high-quality, reliable and durable thermometer from ThermoWorks for not a lot of money. 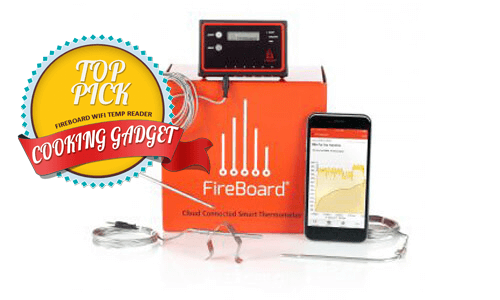 America’s Test Kitchen chooses ThermoPop as their best overall value thermometer just like we did! When you’re on a tight budget and don’t care for anything fancy, you can always reach for this thermometer from Cooper Atkins. It’s small and lightweight and lacks all the fancy features found on more expensive models, making it a good choice for a budget instant read thermometer. It’s IPX7-rated for waterproofness. This means you can subject it to virtually any moisture your kitchen could throw at it, and even throw it in the dishwasher without fear. It’s accurate to within +/- 2F. This isn’t as extremely-accurate as more expensive models but works just fine for everyday cooking and is quite respectable for a thermometer this cheap. It has a decent temperature range, too, going from -40F to 450F. Readings take about 6 seconds. Not quite as fast as the ThermaPen or Javelin Pro DUO, but more than useable. It stabilizes quickly. There’s built-in temperature memory. This allows you to set minimum and maximum temperatures and alerts, as you might on a smart thermometer. You can program it to the temperature you wish to cook to, and the tiny LCD screen will flash as soon as you reach that temperature. It has an auto shut-off. It will turn off after 10 minutes to save battery life. 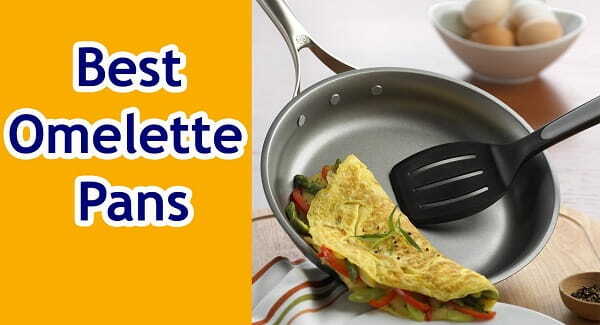 It’s coated with an anti-microbial coating. The LCD Screen is too small. This is to be expected considering its ultralight weight and pocket-sized built, but the screen is just too small – as are the numbers it displays – to read comfortably at a glance. It’s not very durable. Again, we’re not expecting a whole lot from a device this small and inexpensive, but we would also like it if it didn’t break so easily. Overall: If you’re on a budget, this is another decent thermometer. We’d probably recommend spending just a few more dollars and getting the ThermoWorks ThermoPop, however, as it’s got a more reliable build and name and has just a few more features, making it a better all-around choice for an instant read thermometer. The Javelin Pro Duo is a lot like the ThermaPen but is available for roughly half the price. It’s not quite as accurate or as fast but stacks up pretty well considering its price tag. It’s Quite Accurate and Fast. It’s rated to within +/- .9°F of final temperature, which is super close to the ThermaPen’s .7°F. It’s also quite fast, producing read times within 2-3 seconds – which is just as fast as the ThermaPen. It has a wide temperature reading range. It can read temperatures anywhere from -40°F to 482°F, though the .9°F accuracy is only applicable to temperatures below 302F. It’s IP65-rated. An IP65 rating means it’s splashproof and entirely dust-resistant. It feels solid and sturdy in your hand, too, built from a sturdy polycarbonate that is also 100% BPA-free. The 2” LCD Screen is large and auto-rotates and has avery bright backlight to make it readable in the dark. You can rotate the device or turn on the backlight simply by shaking the thermometer. The screen is also fog-resistant, and has an auto-sleep, auto-wake feature. It has Intelligent Stabilization. This refers to the thermometer’s method of identifying when the temperature reading has stabilized, and then flashing and beeping to alert you that it is ready. Javelin gave it an anti-microbial coating. This keeps it clean and prevents bacteria from growing and collecting on it as it collects grease and other dried foodstuffs over time. Battery Life can last 4000 hours. That puts it up there with the ThermoPop, and it runs of convenient lithium batteries. The LCD screentends to die after a short while. The build quality and sensitivity are there, but many users have reported that is just doesn’t last very long. It’s sometimes finicky. Many cooks have reported that it randomly jams and gets stuck on -58°F, for no apparent, reason, and you’ll have to remove the battery and put it back in. Overall: If you want the accuracy and design of the ThermoworksThermaPen, but don’t have the money to invest in it, get the Javelin Pro DUO. It doesn’t have the same reliability and longevity, but delivers in almost every other way. 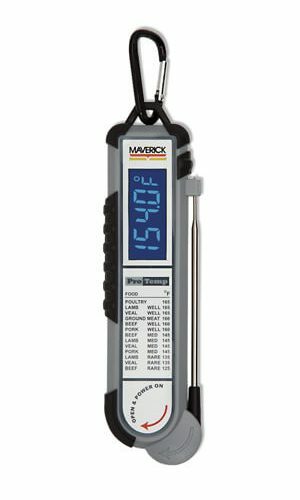 The Maverick PT-100 is a heavy-duty thermometer for professional-grade use and has the price tag to go with it. It doesn’t have all the fancy features that the ThermaPen Mk4 has it, but does have all the functionality you need for virtually everything you’re cooking. It has a Type K Thermocouple Probe. This means it’s very accurate and can read a wide range of temperatures. (Though, in this case, it only goes up to 450F, compared to the ThermaPen’s 572). It’s IP44-rated for waterproofness and dustprotection. It’s also shock-resistant, and can withstand falls from up to 3 feet onto concrete floors – which is durable enough for most of us. Rubber grips on the side add shock-absorption and make it easier to grip, and you can definitely feel the quality in your hand. The LCD Screen is Huge. The numbers on the readout are .5” tall and are super easy to read from a distance, unlike on a lot of other thermometers. There’s also a bright backlight to help you read it in the dark. It runs off AAA batteries. An auto shut-off after 5 minutes helps it save battery life. The readout times are very slow and inconsistent. Sometimes, they can take as little as 5 seconds, but for some people, it can take 20 or 30 seconds to get a stable reading. Which is long – way too long. The screen does not rotate. Almost all other instant read thermometers of this size (and especially this price range) will rotate to accommodate holding the thermometer in different positions. Not the PT-100; it’s fixed in one position, which can make it difficult to read and check in various angles and conditions – like reaching into the stove. It’s expensive. While it’s a professional-grade thermometer, it doesn’t have all the features as the ThermaPen Mk4 and is slower than the Javelin Pro DUO. Overall: The Maverick PT-100 isn’t a terrible choice; it’s durable, shock-resistant and accurate, and has a nice large screen. It’s simple, too, with not too many features to trip you up. But it’s expensive for what it is, costing as much as the ThermoWorks without all the latter’s features and fast readout times. 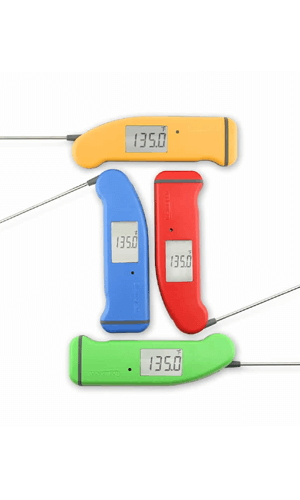 Overall, the ThermoWorksThermaPen Mk4 is the best instant read thermometer of 2019, for both professional and general everyday use. Known for its accuracy and reliability, it’s got a high-quality thermocouple probe that gets to with +/- .7F of a wide range of temperatures and gives lightning-quick readouts. With an extra-long battery life and IP67-rated waterproof body, it’ll last you years of constant use. If you’d like to save a few bucks, then opt for the ThermoWorksThermoPop. Sure, it’s incrementally less fancy, fast and accurate as the ThermaPen Mk4, but brings the same ThermoWorks quality and reliability to the table (or rather, the kitchen) at a fraction of the price. As always, be sure to use a thermometer when cooking meat, don’t rely on silly “hacks” to tell when the doneness level of your food. Additionally, follow the directions that come with your thermometer and touch up on best practice tips.